The monster El Niño weather pattern of 2014–16 caused tropical forests to burp up 3 billion tonnes of carbon, according to a new analysis. That’s equivalent to nearly 20% of the emissions produced during the same period by burning fossil fuels and making cement. 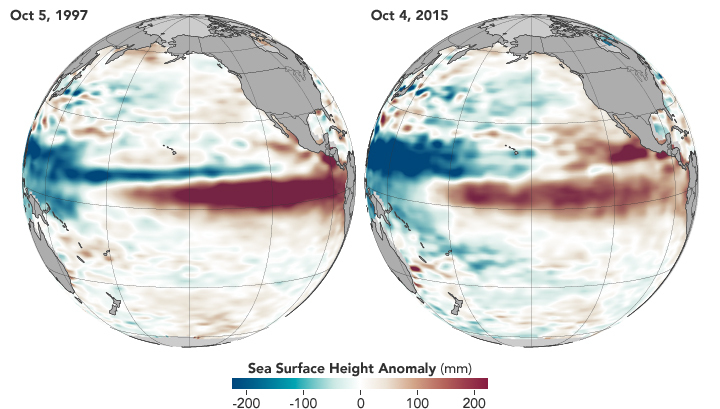 The monster El Nino of 2014 to 2016 created serious disruptions to the world’s weather and climate patterns. 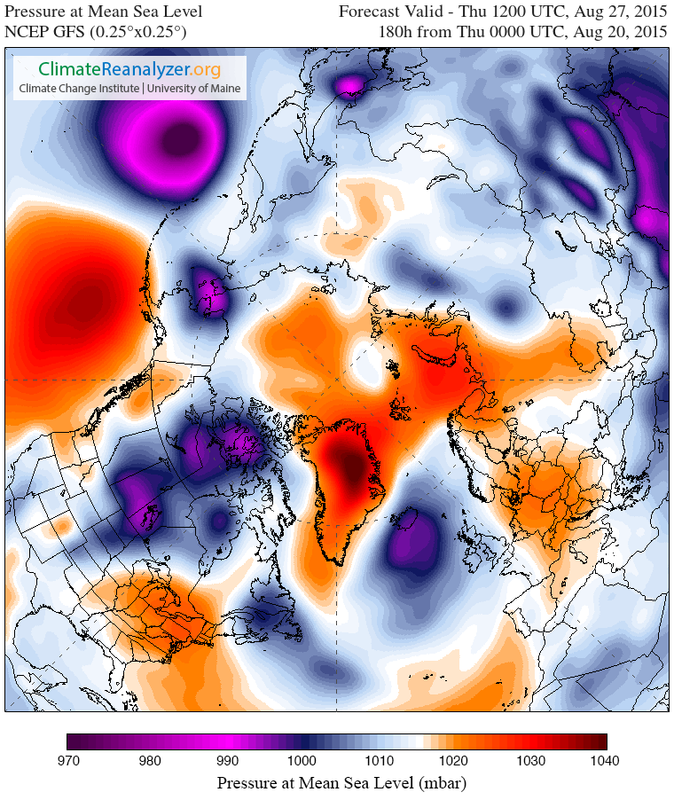 Emerging during a time when human-forced global warming was rapidly ramping up, this strong natural variability feature generated a severe heat spike in the tropical regions. With the heat near the Equator already at high tide due to human-caused warming, this very strong El Nino produced some of the most severe heatwaves, droughts and wildfires ever experienced during modern times in places like Brazil, Africa, and Southeast Asia. The Amazon Rainforest, according to a seperate study, experienced record-breaking heat and drought — with the area of drought stretching 20 percent further than during past El Nino years. Temperatures in the Amazon were 1.5 degrees Celsius warmer than during the extreme El Nino event of 1997-1998. Both signals that a climate change + El Nino interaction was amplifying the severity of impacts to this crucial tropical forest system. In Africa and Southeast Asia, the heat was similarly intense — producing numerous 30-100 year or worse droughts, fires, and record high temperatures. Another signal that this harmful interaction was in full swing. As the droughts and heatwaves were baking deep, and as the forests were stunting, burning, or exhaling more CO2, high overhead, one of Earth’s climate sentinel satellites — the Orbiting Carbon Observatory 2 — was dutifully taking measurements. And what it found was that all this extra tropical heat resulted in a severe loss of soil and vegetative carbon. 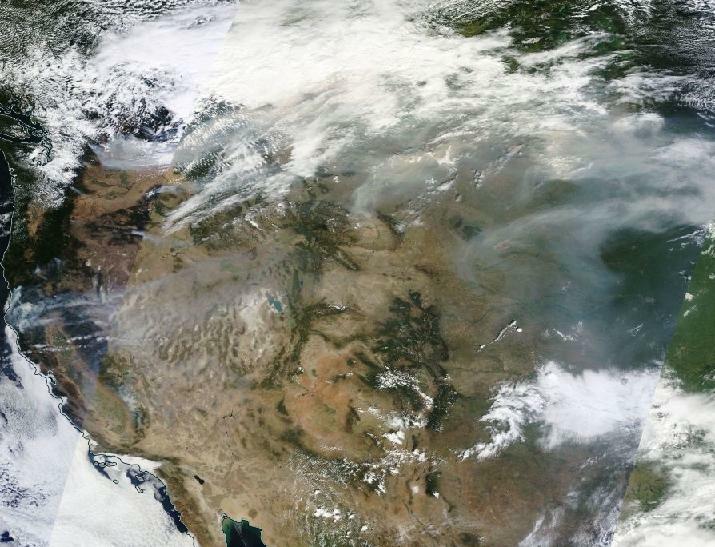 That the heat and droughts were sparking forest fires, causing stress, and stunting forest growth. That these processes were dumping prodigious volumes of carbon back into the Earth’s atmosphere. Overall, the Nature study notes that 3 billion tons of carbon were added to the atmosphere as a result of harm done to forests and soils during this particularly hot El Nino period. Elsewhere, this added burst of carbon did not go unnoticed. And measurements from NOAA’s Earth Systems Research Laboratory indicates that rates of atmospheric carbon accumulation sped up as El Nino and global warming based heat baked the tropical lands. 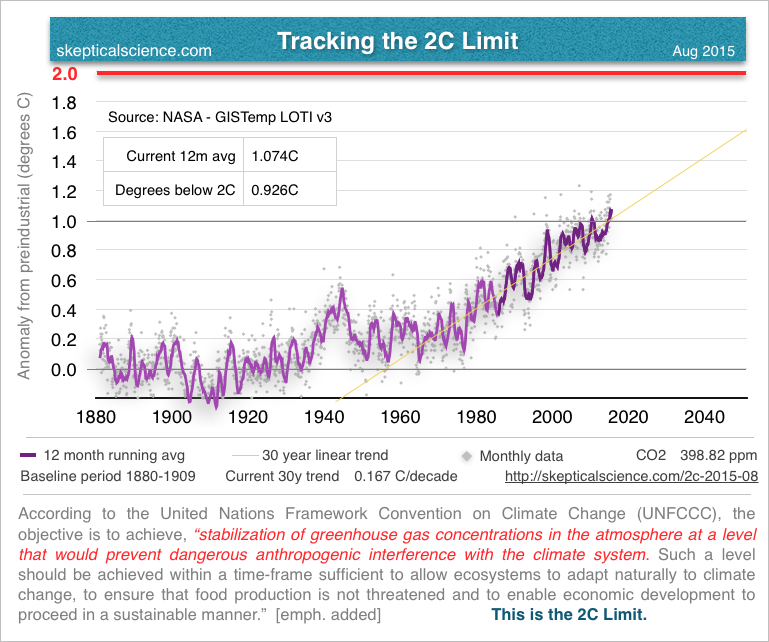 During 2015, rates of atmospheric carbon accumulation accelerated to their fastest pace on record — growing at 3.03 parts per million per year. And in 2016, the second fastest rate of atmospheric CO2 accumulation on record was recorded — 2.98 parts per million per year. This compares to an average 2.2 parts per million annual accumulation that’s primarily driven by fossil fuel burning. So what we have here is evidence that a heat and El Nino based carbon feedback occurred in the tropics during 2014-2016 and that this feedback resulted in a significant spike in the rate of atmospheric CO2 accumulation even as human based carbon emissions were leveling off (at record high ranges). 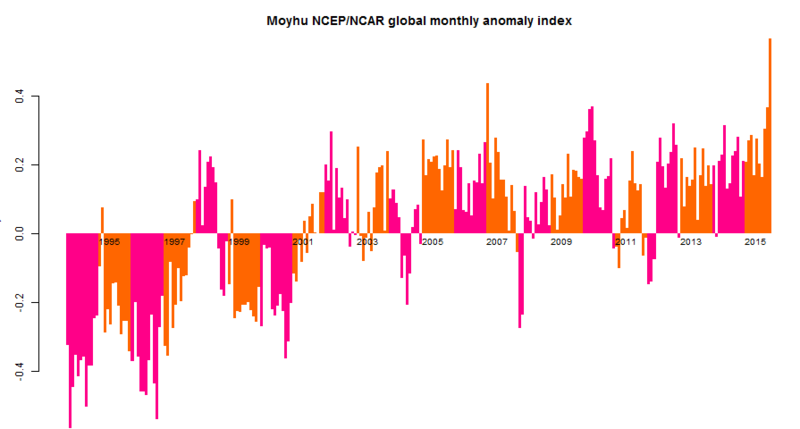 With El Nino fading, that tropical carbon feedback should abate. But we shouldn’t allow ourselves to breathe too easy. For with Earth now in the range of 1 to 1.25 C warmer than preindustrial times, carbon stored in soil, forests, permafrost and oceans is now being placed under increasing heat related stress. And continuing to burn fossil fuels keeps adding to the heat gain that further increases the risk of a warmth-amplifying release from all of these stores. 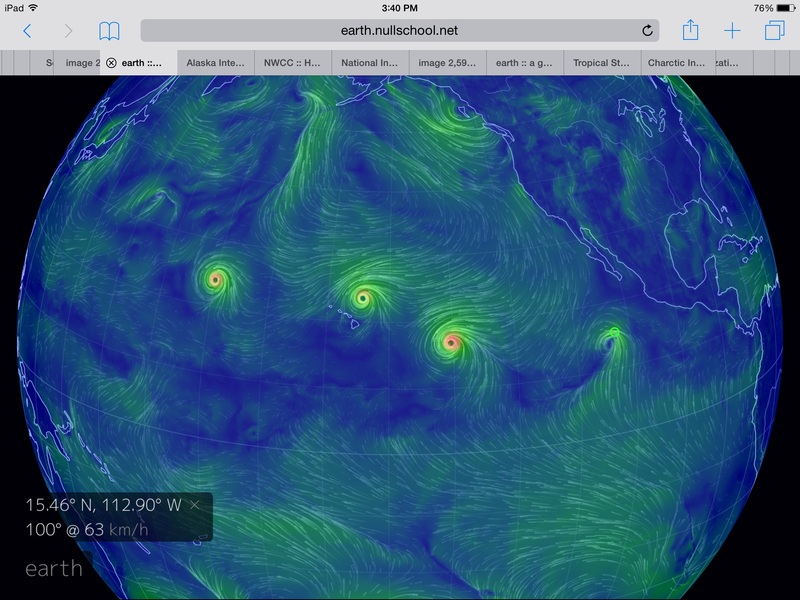 Two climate change spawned monsters are duking it out over thousands of miles of Pacific Ocean waters. 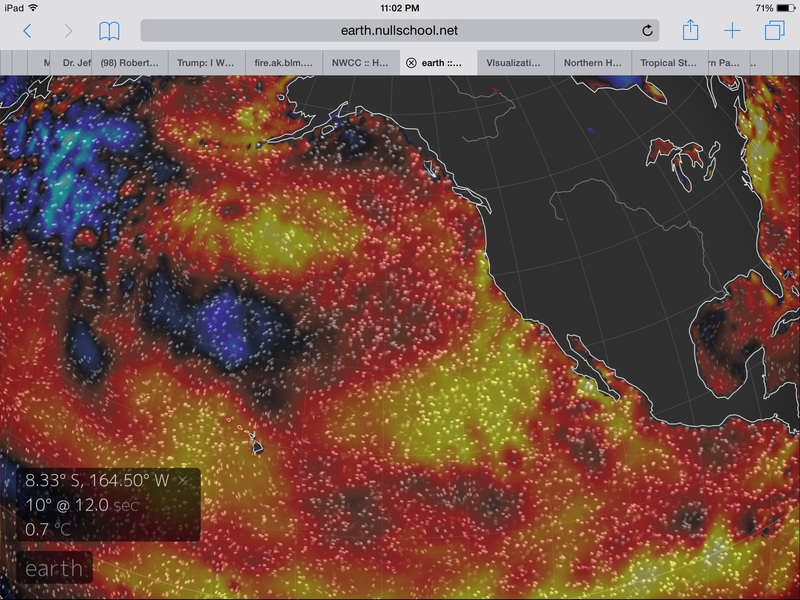 And in a human heated world its an epic battle between these two warming fueled atmospheric and oceanic goliaths — the Godzilla El Nino versus the Pacific Ocean’s Hot Blob. Ridiculously Resilient Ridge. RRR. Blocking high pressure system. All names given to a sprawling heat dome that has plagued the U.S. West Coast for the better part of two years running. It’s a weather system largely responsible for the California drought — the worst in at least 1200 years. 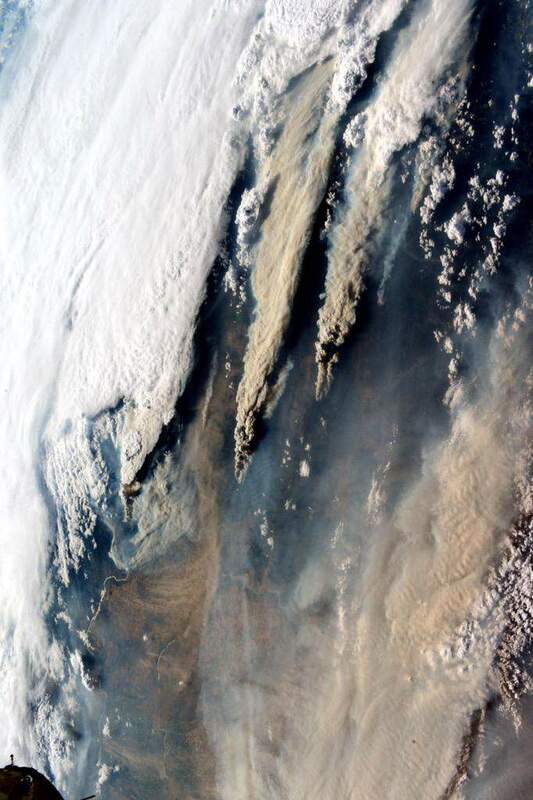 A weather system implicated in an extraordinarily intense outbreak of wildfires across the North American West from Alaska through British Columbia and all along the US West Coast — including within the usually moist rain forests of Washington and Oregon. 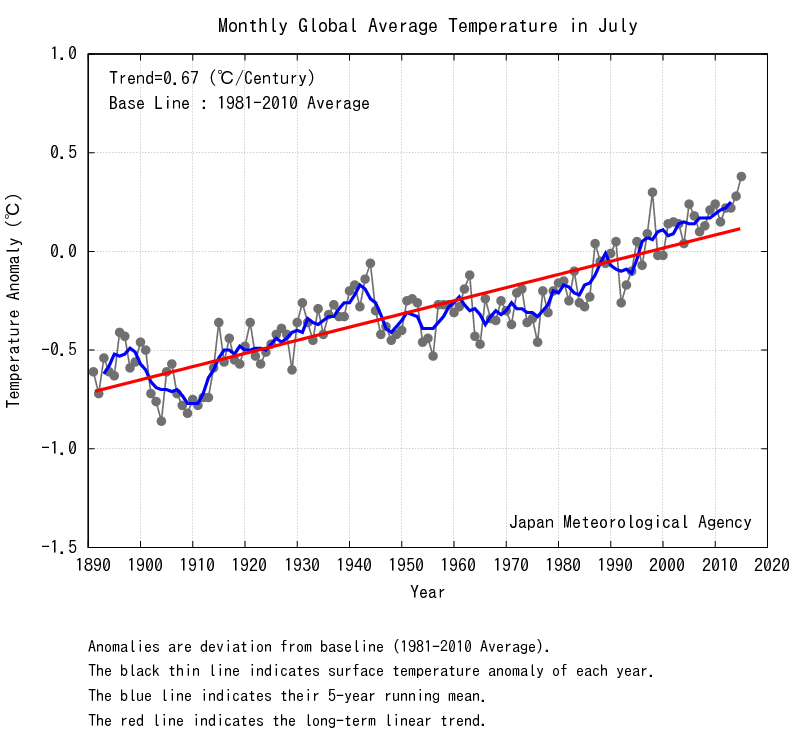 It’s a system connected to a climate change-enforced melting of Arctic sea ice and a similarly forced warming of the Northeastern Pacific Sea surface far above typical temperatures (see here, here, and here). An unprecedented and extreme heating of waters into a ‘Hot Blob’ stretching for thousands of miles. A related drying of airs. Oceanic and atmospheric heat energy generating an implacable atmospheric bully. A high pressure system so powerful it typically flung Pacific Ocean storms far off course — as far north as the High Arctic. But now the RRR is starting to weaken. Its great northward extending ridge has retreated from Alaska. Intense storms exploding out from a system that is likely to rival the strongest El Nino on record (1997-1998) are now surrounding the ridge, nibbling away at its edges, cooling the waters of the hot blob through Ekman pumping, and raging on through Alaska and the Pacific Northwest. It’s early sign of RRR collapse. That the Hot Blob is starting to fail. With some of the precursors to likely far more intense Fall and Winter storms starting to get caught up into its spiraling decline. And as sea surface temperature anomalies are likely to hit 2.0 to 2.3 C above average in the Niño 3.4 zone in this week’s NOAA El Niño report, more RRR-challenging storms are likely on the way. As Ricky Rood over at Weather Underground said this week it’s Godzilla vs the Blob. And Godzilla, at this point, appears to have the upper hand. And once the Blob goes down there’s nothing to keep what are likely to be some seriously epic storms slamming into the west coast of North America this Fall and Winter. But according to recent science, there’s a high risk that the Blob will creep on back as the Godzilla El Nino retreats during mid to late 2016. And for the West Coast that means high risk of a pretty vicious cycle of drought to flood to drought. A dangerous weather pattern intrinsically related to human-forced climate change. 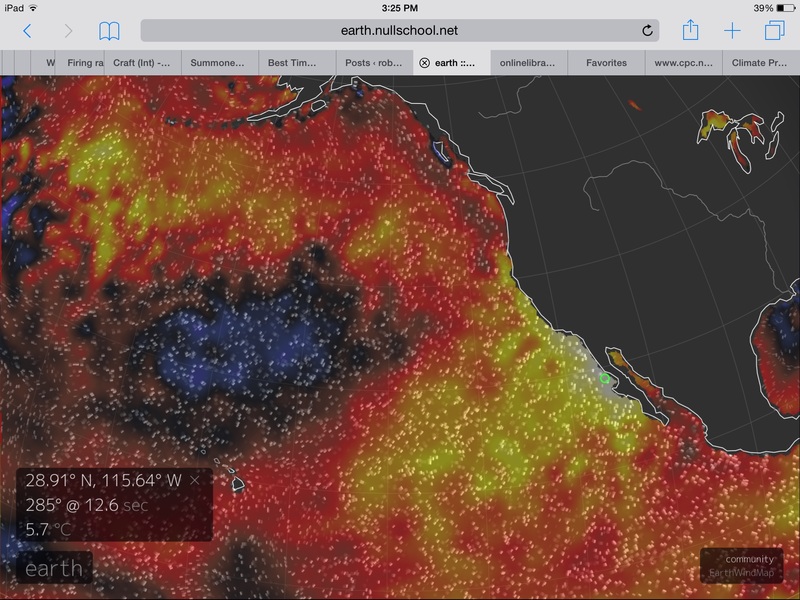 The Hot Blob in the Northeastern Pacific held its own for quite some time. But it now faces the assault of a barrage of tropical cyclones spat from the maw of a monster El Nino that is now tracking its way toward the strongest such event on record. If this keeps up, the Ridiculously Resilient Ridge warding storms off the US West Coast will be besieged by increasingly powerful cyclonic systems. The Ekman pumping from such storms will cool the ocean surface at its periphery and expanding toward its heart, eventually crushing the ocean impetus for ridge formation. 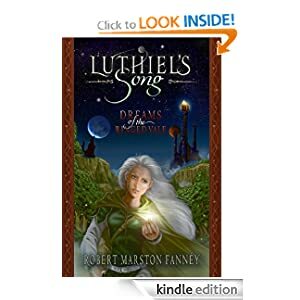 The continuation of such a pattern could then kick Bjerknes feedback into higher gear — opening wide the door for powerful storms striking the US West Coast this Fall and Winter. 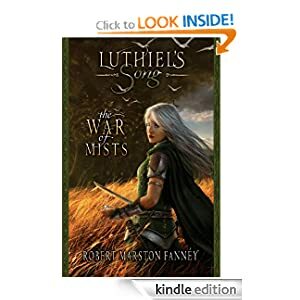 Late during the evening of August 29th of 2015 something odd happened. 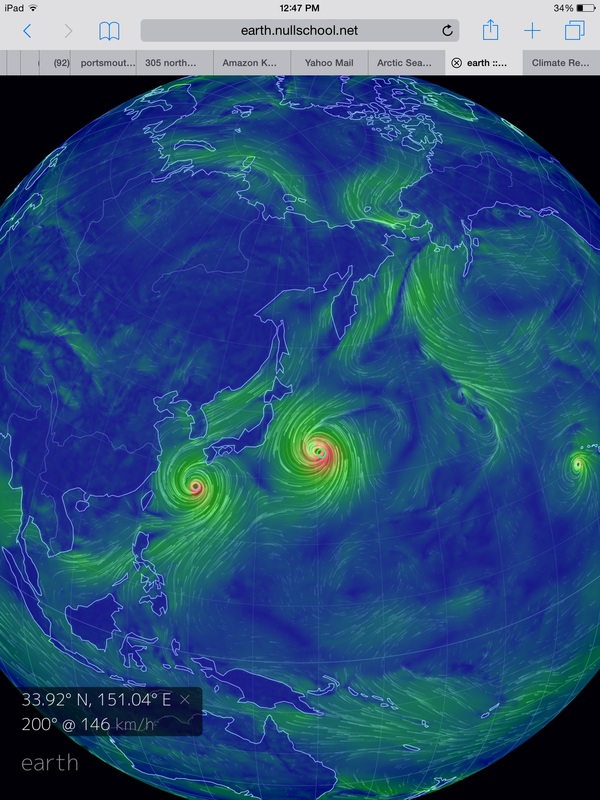 For the first time in the history of modern meteorological record keeping, three category four typhoons simultaneously churned their way northward through the Pacific Ocean. These massive and powerful storms, just one category shy of the strongest typhoons we have a measure for, were hurled out of a region of extremely hot sea surface temperatures near the Equator. 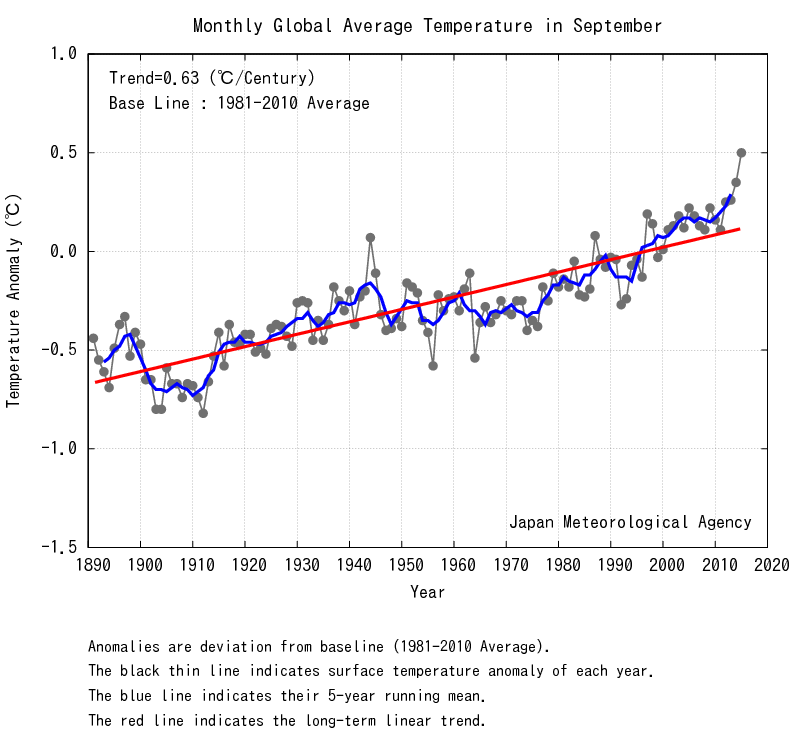 A zone, that for late August was also hitting record hot levels amidst a building Monster El Nino. And never before in modern memory had so many storms of such high intensity filled Pacific Ocean waters. 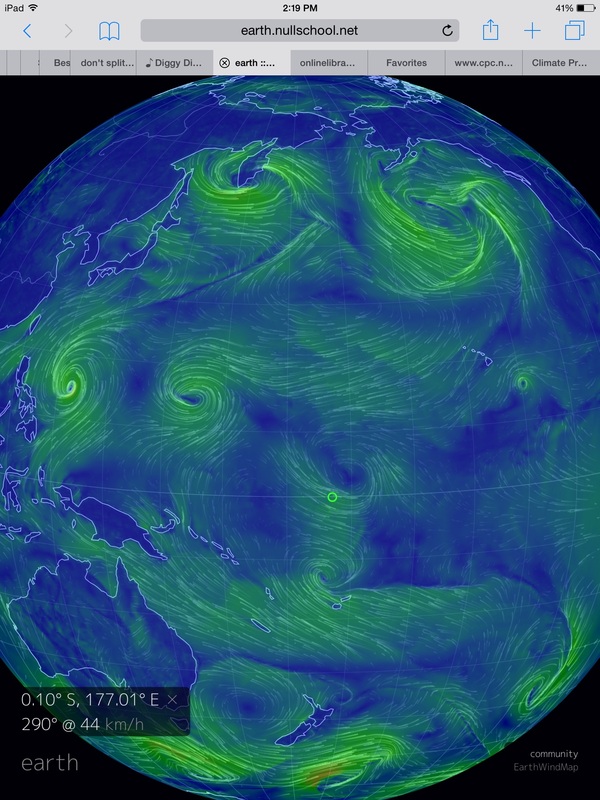 By today, the furthest northward cyclones had vented their fury and dropped in intensity. Meanwhile, a fourth storm — tropical depression 14-E — was in the process of exploding over the very hot waters of the Eastern Pacific. 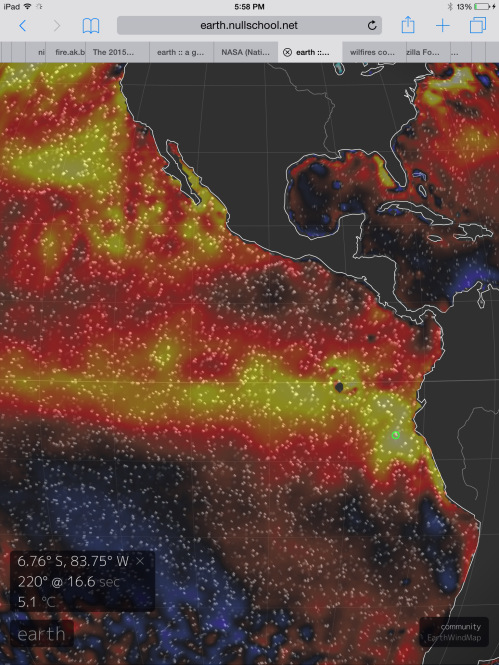 It’s an unprecedented number of storms flowing out of what may become the strongest El Nino on record as part of a powerful ocean-atmospheric feedback. Strong Bjerknes Feedback to Crush RRR? Now, this strong storm pulse is starting to put the squeeze on the famed Ridiculously Resilient Ridge (RRR). It’s a persistent ridge that for the better part of three years has turned storms away from the US West Coast — deepening already prevalent drought conditions over California and threatening water security across the US West. But now the RRR is surrounded by storms. A strong frontal trough runs from 30 North across the Central Pacific and on up into the Bering Sea. Another significant late summer low churns off the Pacific Northwest — running south and east toward Seattle and British Columbia. 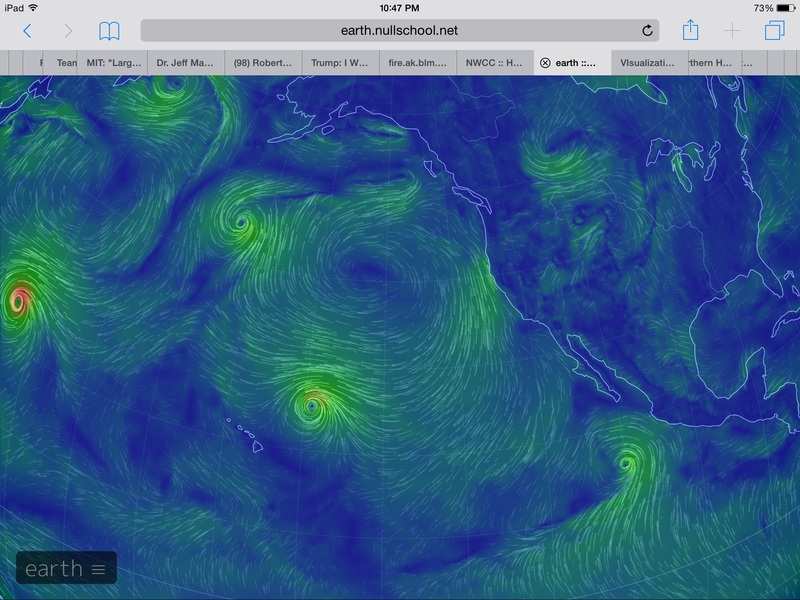 And four tropical cyclones push northward into the ridge’s southern boundary. It’s a full court atmospheric press. One that, through the mechanism of Ekman pumping, will push for the generation of upwelling and related cooling of the Northeastern Pacific waters beneath the RRR. If this happens, a good portion of the RRR’s atmospheric inertia will fail — opening wide the door for a powerful west to east storm track development fed by heat rising off a Monster El Nino sprawling over the Equatorial zones. It’s a pattern that’s starting to look like a rather significant Bjerknes-type feedback to a record or near record El Nino. One that may well continue to develop and grow ever-stormier as Fall progresses. 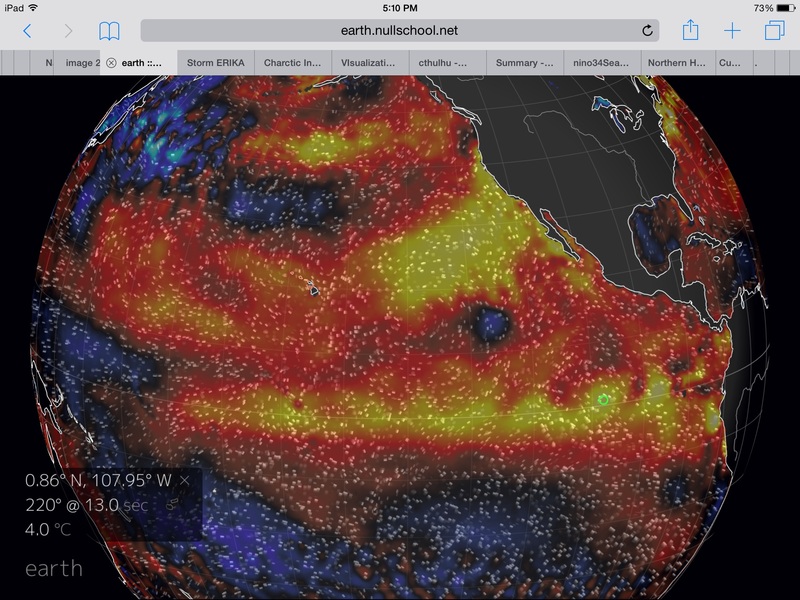 Feeding the powerful pulse of storms is a still-heating Equatorial Pacific. As of Monday, NOAA’s Weekly El Nino Report found that the critical Nino 3.4 zone had warmed 2.2 degrees Celsius above average. 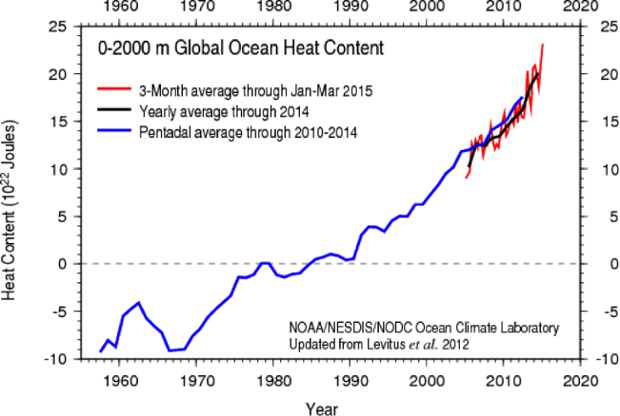 This warming follows an inexorable three month rise that began in June and has mostly continued unabated. Furthermore, seasonal trends together with the already powerful observed atmospheric feedbacks would tend to continue to push surface warming through October and November. So it’s likely that an El Nino that has already ventured well into monster event range will warm further over the coming 4-10 weeks — setting the stage for a possible excession of 1997’s record setting intensity. Model runs still point toward this possibility with CPC/IRI convergent and dynamic 3 month average predictions in the range of 2.3 to 2.5 C above average (which would beat out 1997’s 2.2 C departure). Meanwhile, uncorrected CFSv2 model runs continue to put the October, November, December 3 month average prediction in the range of 2.75 C above baseline. 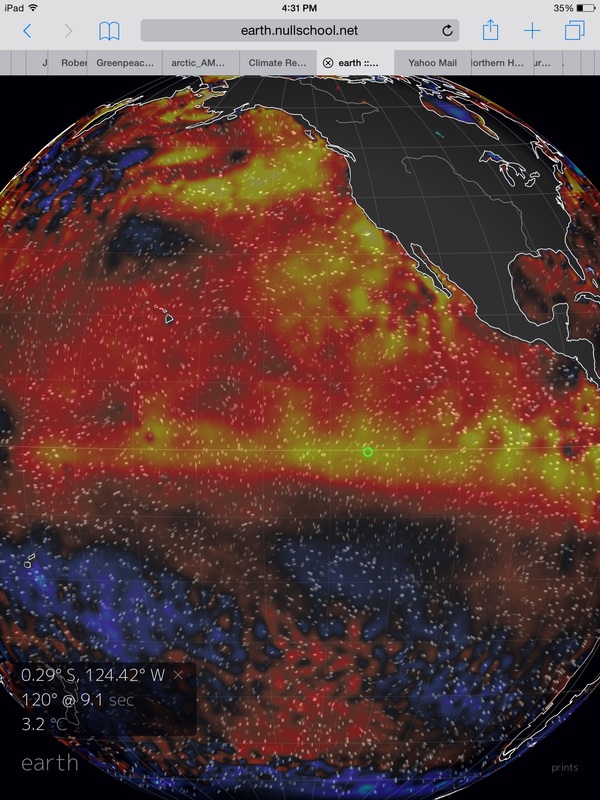 A level that would basically blow the 1997 El Nino out of the water. To this point it’s worth re-iterating that weekly sea surface temperature departures for the Equatorial Pacific are now entering record setting ranges. Many analysts, like Weather Underground’s Steve Gregory, expecting these waters to continue to warm over the coming weeks. Though it’s too early to lock in the death of the RRR, conditions are lining up that will continue to put the squeeze on this persistent weather pattern. As a result, chances for some very intense storms beginning to slam into the US West Coast starting during October, November and December are on the rise. For those looking to a possible end to the droughts, wildfires and water shortages in the Western US, this potential change in conditions may be seen as a relief. 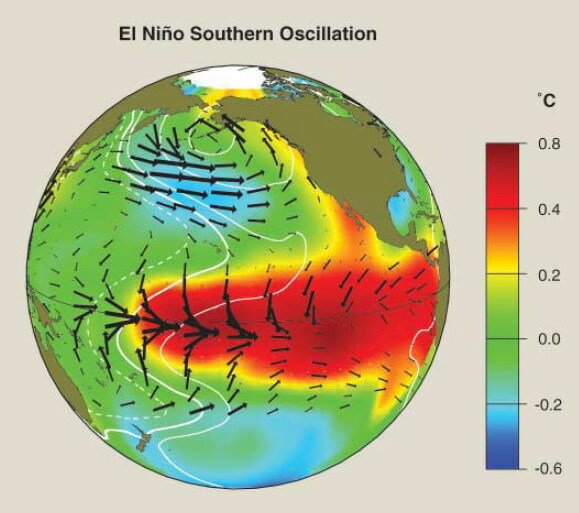 However, such an extreme switch brings with it the distinct possibility that storms associated with a potential strongest El Nino on record will be very disruptive. The droughts and numerous wildfires throughout the West have established soil conditions that will only enhance flood related impacts. Powerful rains associated with El Nino will likely increase erosion and further damage soils in regions already impacted by the severe droughts, mass tree deaths, and wildfires related to human forced climate change and fossil fuel burning. 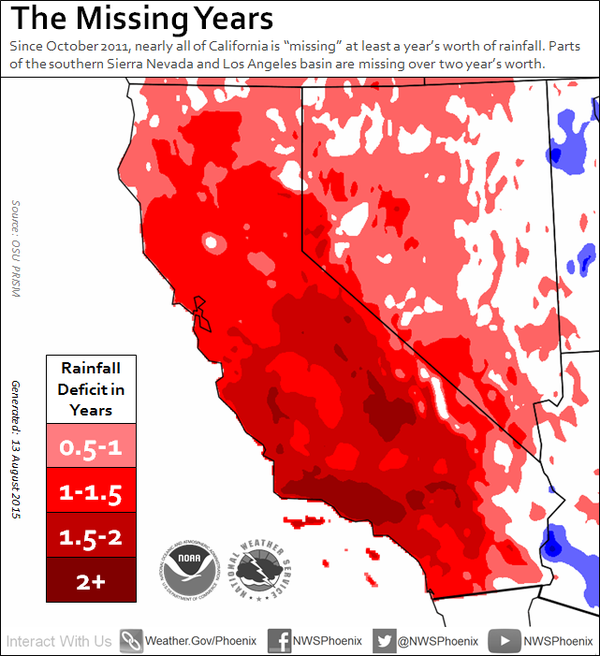 To this final point, parts of California are now entering a 2 year rainfall deficit. A deficit that, in some places, equals 30-40 inches or more. 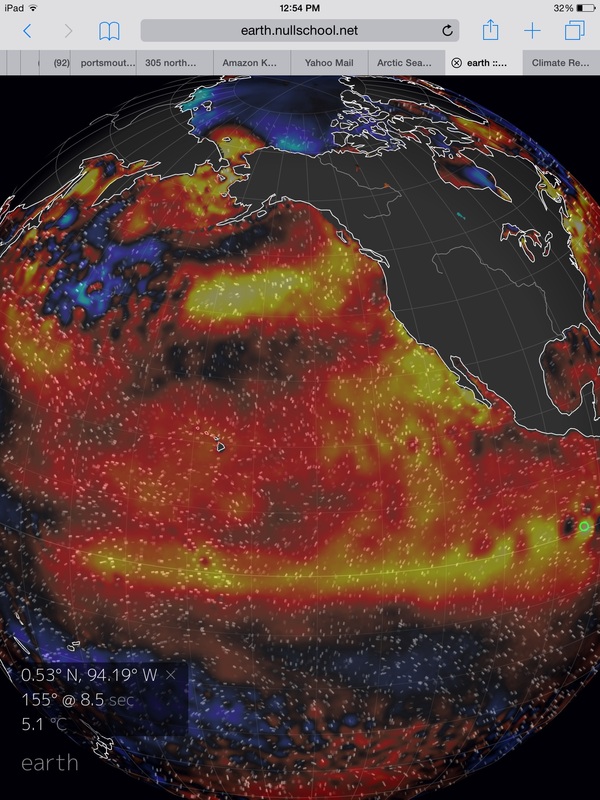 A monster El Nino crushing the RRR and massively amplifying the Pacific Ocean storm track and pumping immense volumes of moisture into the mid-latitudes raises the risk that this much water or more could be dumped upon parts of California and the US West Coast in little more than a season. A switch from persistent, crushing drought to flash flood that could be extraordinarily disruptive. 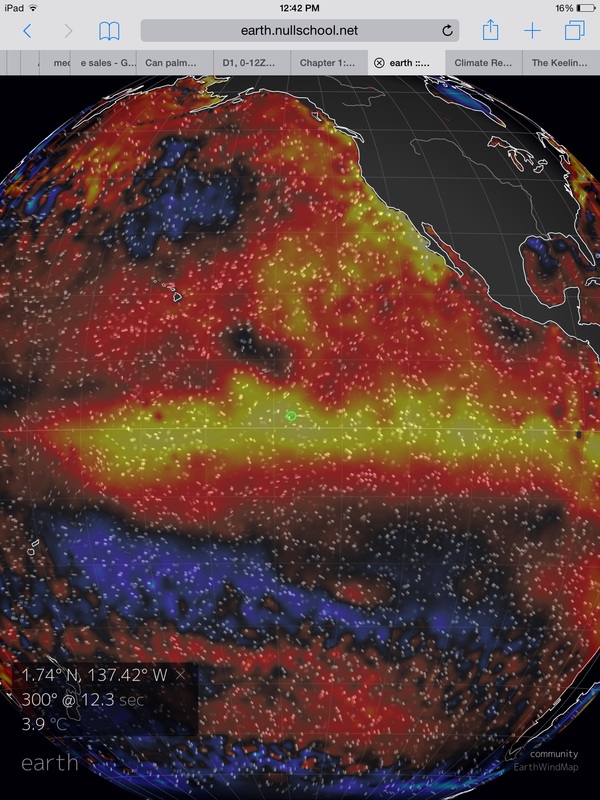 Steve Gregory: El Nino Stronger!